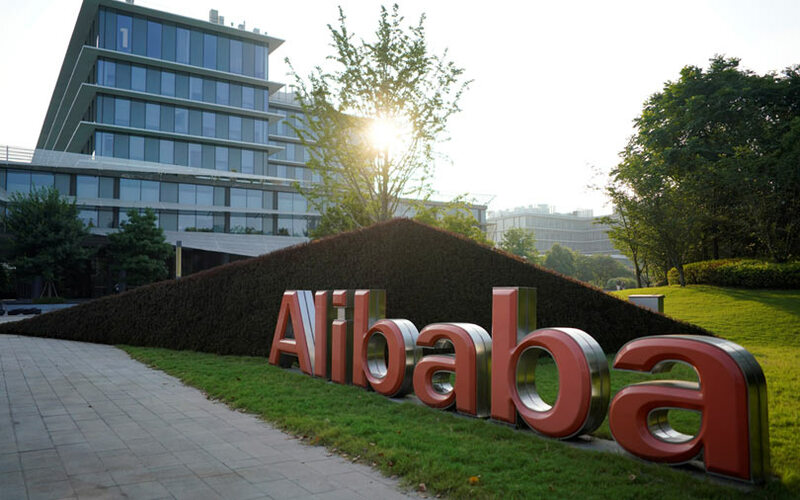 China's Alibaba Group Holding Ltd reported lower-than-expected quarterly revenue on Friday, another sign of slowing momentum for China's giant e-commerce platforms and its economy. Alibaba's stock has fallen more than 12% this year, weighed down by concern about the planned retirement of founder-chairman Jack Ma, declining margins and concerns about the impact of a US-China trade spat on ad spending. Volume of business normally slow in the second quarter ahead of Alibaba's Singles' Day sale, which peaks on Nov. 11. Core e-commerce revenue, which accounts for 84% of the total, rose 56% to 72.48 billion yuan in the second quarter. Profit margins remained tight as Alibaba invested heavily in logistics, offline retail and cloud computing. Revenue from cloud computing grew 90.5% to 5.67 billion yuan and about 24% in entertainment and digital media to 5.94 billion yuan. Sales in both the third and first quarters are increasingly cannibalized by the shopping bonanza surrounding Singles' Day, which last year generated over $25 billion in sales at Alibaba and around $19 billion at competitor JD.com Inc. The date, Nov. 11, was originally a tongue-in-cheek student holiday to celebrate single people, countering Valentine's Day, but has since become synonymous with e-commerce sales. Excluding items, the company earned 9.60 yuan per share, above the analysts' average estimate of 7.41 yuan per share. Revenue rose 54.5% to 85.15 billion yuan ($12.39 billion) for the three months through September, compared with the expectation of 86.51 billion yuan, according to IBES data from Refinitiv. Net income attributable to ordinary shareholders rose 13% to 20.03 billion yuan, or 6.78 yuan per share.